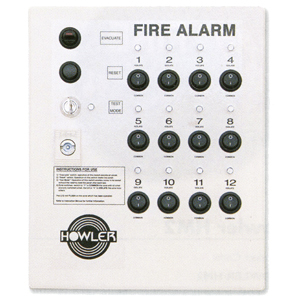 The Howler Multilink Control Panel for use with Howler Site Alarms. 9v battery operated control panel. Allows zoning of Howler units and compatible smoke alarms. Available in 4, 8, 12, 16 & 20 zone panels.